How important is gender in conservation? Could paying greater attention to gender roles help save the environment? Ever more environmental groups believe it can. 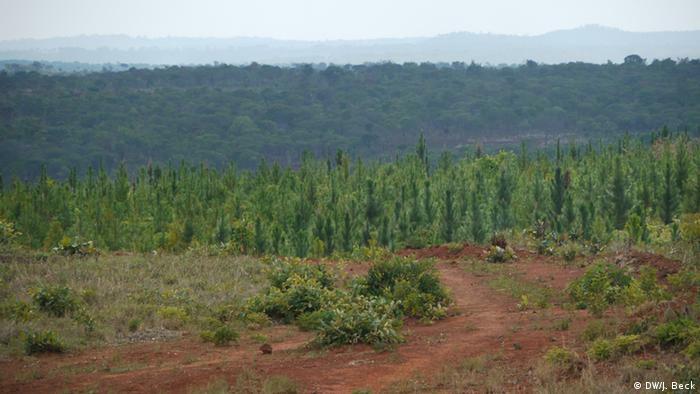 Some examples from practice - like reforestation in Malawi - indicate this is indeed the case. When local farmers in Malawi plant trees, a separation of labor is clear: While the farmer plants the small seedlings, his wife takes care of older trees, sweeps away old leaves from the ground, collects firewood for cooking and harvests the fruit. Gender obviously plays a huge role in life - and also for conservation. Scientists and environmental organizations are now starting to paying attention to exactly what makes up these differences. What's emerging is not only important for conservation - it's also a bit surprising. Conservation International recently even created a job position dedicated to looking at gender aspects in conservation. Kame Westerman, advisor for gender and conservation, is convinced that gender is key - especially in conservation projects that take place on a grassroots, community level. "Men and women use natural resources differently," Westerman told DW. "That's due to roles and responsibilities, and the different things that men and women do in their lives." The main issue: Although women in local communities do take over crucial tasks relating to conservation, they are easily overlooked in the decision-making process, Westerman says. In many communities women might not traditionally be included in the decision-making elite of a community - yet it's usually these leaders that outside environmental organizations and researchers first address. Ignoring women or not considering gender roles is the easiest way to let a project run to ruin, Westerman thinks. By way of example, she refers to a conservation organization that tried to reduce deforestation in a community where men were in charge of harvesting trees. The conservationists tried to find another source of income for men to stop the deforestation, so men were taught how to farm and harvest vanilla instead. But it didn't work out - after several bad harvests, the reason became clear: Traditionally in this community, women had been in charge of small-scale agriculture. But they'd never been asked, nor trained on vanilla cultivation. So the women likely ended up with a double burden of work. As the men sat around doing nothing, women deliberately plucked off vanilla flowers to prevent pollination, in order to reduce their workload. To avoid pitfalls like these, large conservation organizations ranging from IUCN, the Nature Conservancy, and Conservation International to WWF have all started issuing guidelines on how to deal with gender roles in conservation. 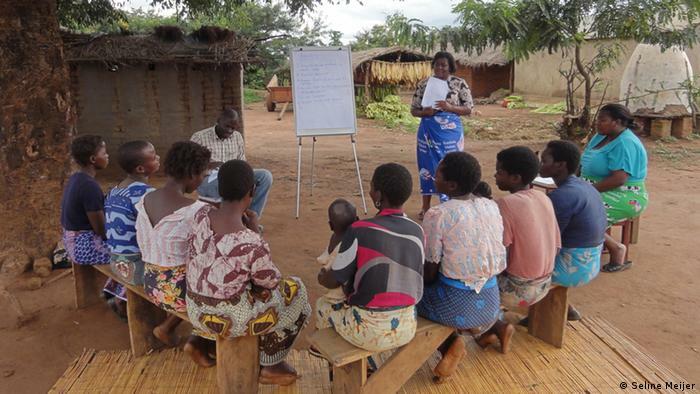 Seline Meijer, a postdoctoral researcher at University College Dublin, based her most recent research project - on if, how and why local farmers plant new trees in Malawi - in a gender approach. Deforestation in Malawi is a major problem: 30 percent of its forests have disappeared in the last 10 years. 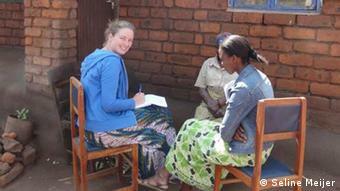 "It gives you a better understanding of what the situation is like on the ground," Meijer told DW. "There is a big difference in gender roles, and the benefits that people get from projects," she added. 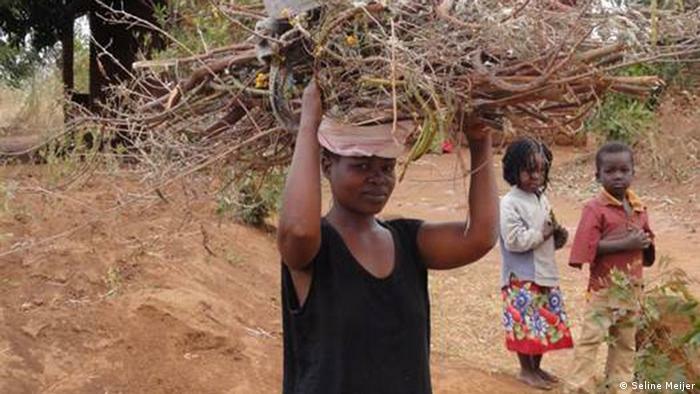 In Malawi, tree-planting typically would fall to men. But when Meijer looked at gender roles and the impact women have, she was surprised to find that in the south of the country, more trees are being planted than in the north - due to different gender dynamics there. In the north, households are traditionally led by men, and the decision on whether to plant trees is up to them. However, in the south women often head the household and family structures are traditionally matrilineal. Even though the actual physical task of planting trees is carried out by men as in the north, the decision to plant trees is made differently in the south: It's either up to the women alone; or women and men make the decision together. In the end, this results in more trees being planted. In this case, women can have a concrete impact on reforestation. This research finding will for example be helpful when setting up large-scale reforestation projects in Malawi. Thinking about gender when implementing conservation projects is not only beneficial for the environment, said Westerman - it also protects the women. "Each project will impact men and women differently," she pointed out. So how could a gender-sensitive project look? The first step, according to Westerman, is to understand gender dynamics - to understand whom is tasked with what, and how the community makes decisions. To enable women participation in a project, it might also be necessary to organize childcare, provide additional education to women, or run workshops for men and women separately. "These are already small things we can do to help women participate," Westerman said. "Sometimes when programs talk about gender, it almost becomes synonymous with 'women,' Meijer said. But it's crucial both genders continue to play a role, she added. Westerman agrees, as men are important advocates: "At the end of the day, in many of these traditional cultures, unless men are on board, [the project] really won't go anywhere." When being asked whether women would be better conservationists than men, if given more power, Westerman laughed out loud. She responded: "Women and men both have the potential to be amazing conservationists - our job is to ensure that both have the ability to be the best conservationists possible."